THE EAGLE HAS LANDED: An Anti-Heroic Final March For John Sturges – Schlockmania! John Sturges was one of the great directors of Hollywood-sized tough guy fare, with classics like Bad Day At Black Rock, The Magnifcent Seven and The Great Escape to his credit. He closed out his career in 1976 with The Eagle Has Landed, an exciting blend of war movie and spy thriller that finds Sturges incorporating a bit of “New Hollywood” cynicism and daring into his old-school approach to macho cinema. 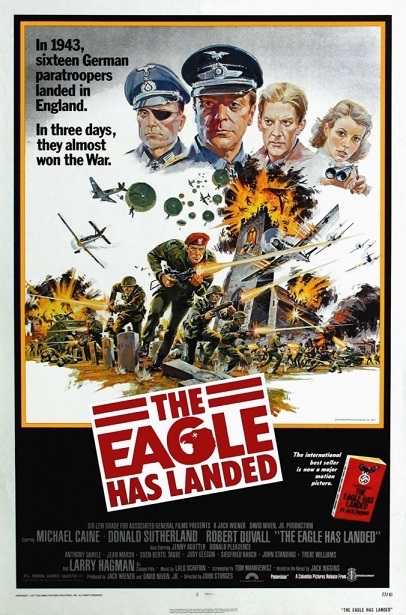 The Eagle Has Landed is based on a bestselling novel by Jack Higgins. It is set in the dying days of World War II as the Nazis are scrambling for some sort of “hail Mary” maneuver to turn the war back in their direction. Colonel Radl (Robert Duvall) is charged by his superiors to create a plot to kidnap Winston Churchill in the U.K. Radl finds a small window of opportunity and puts together a plan involving Irish radical Liam Devlin (Donald Sutherland) and brave but rebellious Coloner Steiner (Michael Caine). 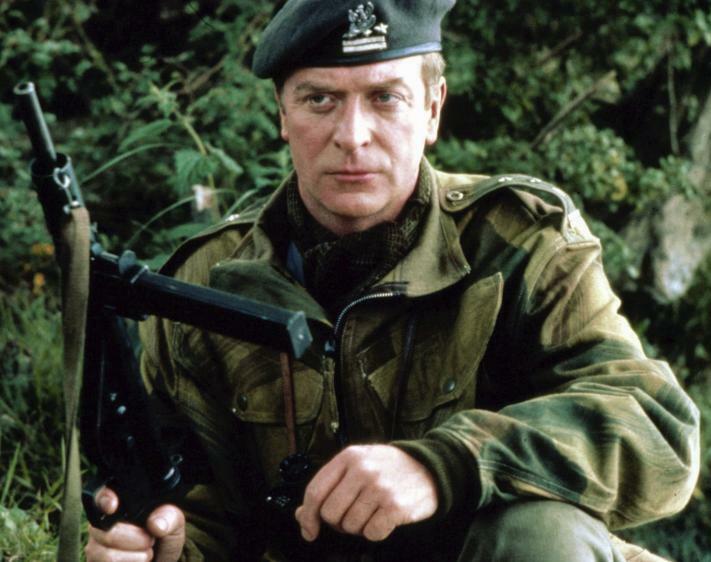 In short order, Steiner leads a group of paratroopers down to a remote village that Churchill will pass through, with Devlin planted to assist in the village. Of course, no military operation ever goes off quite as planned and Steiner’s mission is endangered by a variety of threats, including a local (Jenny Agutter) who falls in love with Devlin and the nearby presence of Colonel Pitts (Larry Hagman), an Army man determined to prove himself to his commanders. The odds grow more desperate with each passing minute but Steiner presses on, determined to fulfill his plan no matter what. If you want to take The Eagle Has Landed as a straight action thriller, it works perfectly well on that level. Tom Mankiewicz, fresh off writing several James Bond films, orchestrates the complicated plot in a clean and suspenseful fashion: the first half chronicles the setup as it explores the major characters and the second half delivers a barrage of setpieces and twists of fate. The one flaw in his work is a tendency to overdo the humor in spots, particularly in the quasi-slapstick portrayal of Colonel Pitts, but this flaw is never pronounced enough to spoil the film’s overall effect. On that level, the film also benefits from the studio-system professionalism of Sturges’ direction, which manages to be economical even while handling a storyline large in scope. He was an old hand at doing such ensemble-driven pictures and gives each featured player room to shine while keeping the plot moving forward in a clean, focused manner. He also handles the action with aplomb, with the standoffs between the Germans and American soldiers delivering some white-knuckle excitement. However, it’s even more interesting to look at The Eagle Has Landed as an oldschool war/thriller item infused with a dose of modern cynicism towards war, a film that dares to pitch what would normally be villains as anti-heroes. Some have wrongly accused the film of glorifying the Nazis because of this but it is important to point out that the filmmakers never try to glorify the Germans’ acts: instead, it works on helping us understand why they are doing what they do and showing their humanity. 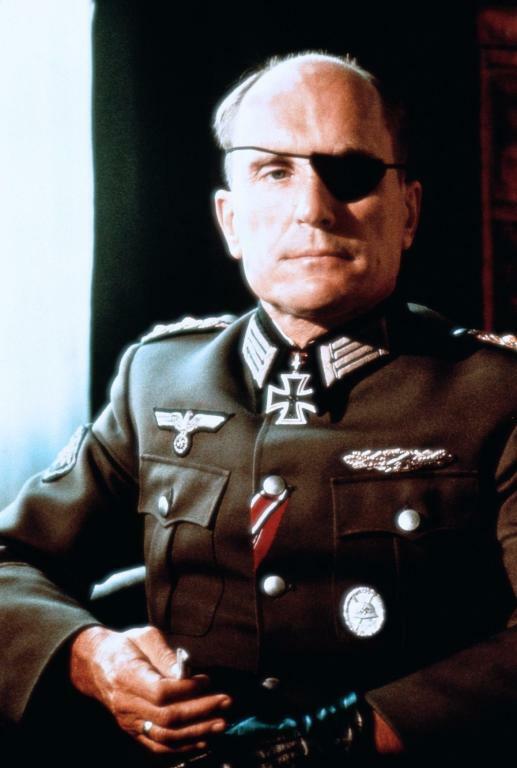 From the outset, the script makes it clear that everyone involved in the plot knows it is a fool’s errand ordered on a whim by a group of insane leaders (it’s particularly noteworthy that Steiner holds his Nazi commanders in low regard, even trying to save a Jewish prisoner from their wrath). However, they strive to do the impossible out of love of country and mutual respect for their shared bravery. The complex psychology is conveyed well because Sturges has a good lineup of Hollywood and English professionals in his cast. Caine sets the tone with his quietly intense, darkly humorous turn as Steiner, creating an assassin who is compelling despite his deeds because he operates from a personalized sense of honor. Duvall also does quietly effective work as a bureaucrat who does his best to be effective in the midst of madness. 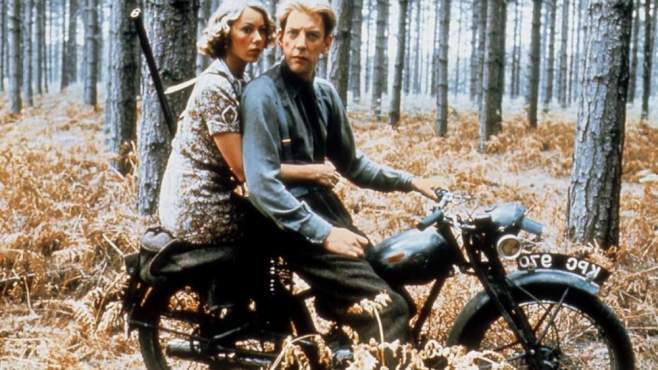 Sutherland gets the showiest role as Devlin, bringi ng an appropriately raffish charm to a character that is iconoclastic enough to suit his talents. 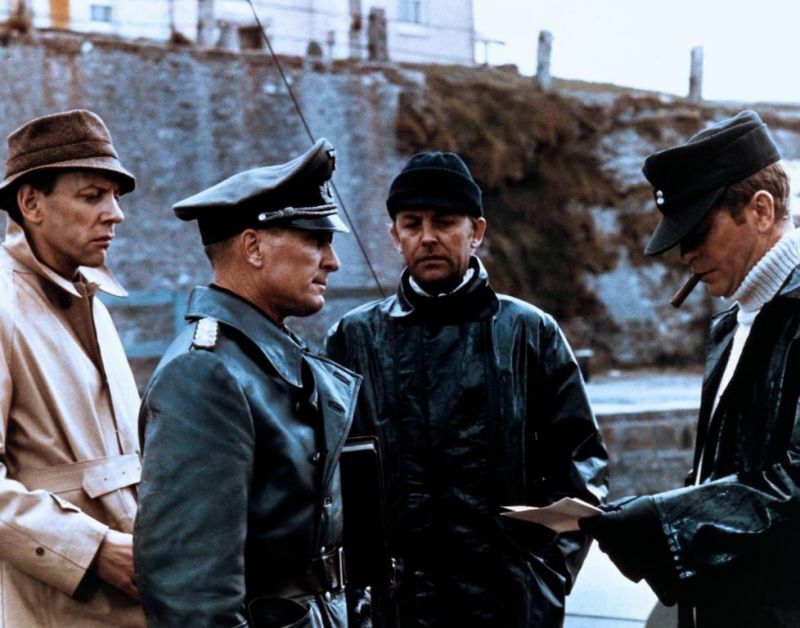 Also worthy of note are Agutter as the tragic love interest whose plight shows the emotional cost of war, Jean Marsh as a turncoat who feels the pain of her betrayal and John Standing as a priest who shows a stiff upper lip when dealing with the Germans. In short, The Eagle Has Landed delivers all the thrills a viewer can expect from a wartime thriller – and it also displays a nuanced, oft subversive take on what drives “the enemy” during a war. It’s a fitting finale for Sturges’ career and easily the best of his latter-day films.